When does a developer have a right to rescind an off the plan contract? The “just and equitable” requirement - what must be taken into account by the court? Variations to the development – when will this create rights to rescind? Gary Newton is a partner in the Property and Development Group of HWL Ebsworth Lawyers. Gary has been practising in the area of property law for over 35 years, providing advice on a wide range of matters to business, government and individuals. Gary holds a Bachelor of Laws degree from the University of Sydney and is an Accredited Specialist in Property Law, since 1994. Gary is the co-author of a book published in December 2017 called "Land Acquisition" 7th edition by Gary Newton and Christopher Connolly. This new book deals with land acquisition and compulsory resumption in every jurisdiction of Australia. Christopher Connolly is one of Gary Newton's partners at HWL Ebsworth. Gary is the co-author of a book "Real Property Law Case Summaries" Newton’s 4th edition. Gary is the co-author and the co-editor of the LexisNexis Butterworths NSW Conveyancing Service (loose-leaf). He is also co-author and co-editor of the book 2017-2018 edition of the ‘Annotated Conveyancing & Real Property Legislation in NSW’. Gary has published many articles in national journals such as the Australian Property Law Bulletin and Law Council of Australia Journal and the NSW Law Society Journal. Gary's commentary has been cited in judgments of the Supreme Court of NSW. 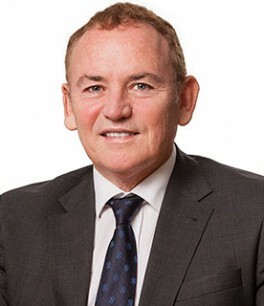 Gary has been awarded with Leading Lawyers in Australia, Doyles and various other awards. He was also awarded in 2016 a Lexology Client Choice Award for his excellence in client service in the area of Real Estate.